The Nikon D810 is a new DSLR that "offers the highest image quality in Nikon's history". 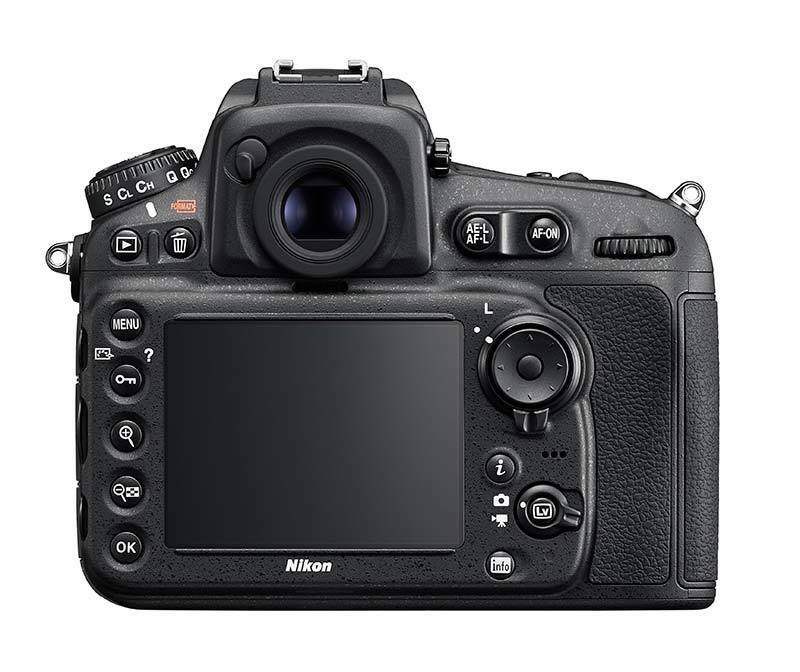 According to Nikon, the D810 has a brand new 36.3 megapixel sensor with no optical low pass filter that delivers image quality that rivals medium format cameras. 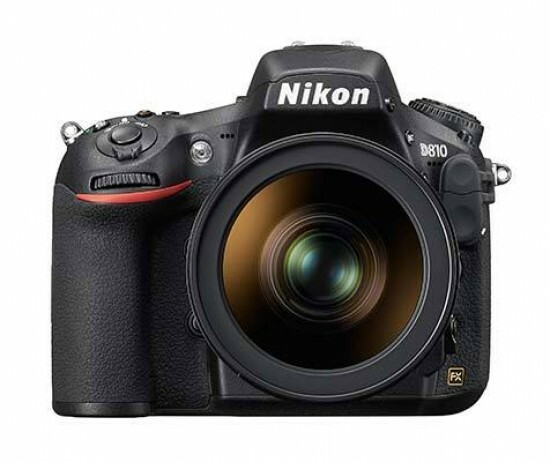 In addition, the Nikon D810 has an ISO range of 32-51200, 1080/60p video recording, Expeed 4 image processing engine, 51-point auto-focus system, 5fps burst shooting at full resolution, and an improved LCD monitor (3.2-inch with 1299K dots). The Nikon D810 will replace both the D800 and D800E models, and will cost £2,699 / 3299Euros / $3,299.95, available from the 17th July. 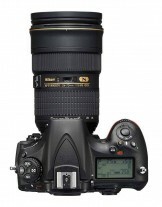 London, UK, 26th June 2014 Nikon today introduces the D810, the new high-resolution master that’s ready for anything. From delicate textures to high-speed movement, this astonishingly versatile 36.3-megapixel camera will exceed every expectation. Offering incomparable image quality, high-speed performance, and Full HD video flexibility, the completely redesigned D810 surpasses its predecessor to deliver a new benchmark for high-resolution shooting. Its all-new FX-format sensor, ultra-wide ISO range, and EXPEED 4 image processor deliver unprecedented sharpness, impressive tonality, and reduced noise across all sensitivities. Flagship AF performance, a burst rate of up to 7 fps, and Full HD movie recording at 1080/60p enable any scene to be captured with rigorous precision, and Nikon’s Picture Control 2.0 provides exceptional in-camera image processing and optimisation flexibility. In the studio or on location, this is the ultimate imaging machine for serious photographers who want to realise their vision in exquisite detail. Taking creative freedom to a whole new level, the D810 opens up spectacular new possibilities for high-resolution shooting. The camera’s brand new FX-format sensor offers a class-leading count of 36.3 megapixels, and is designed without an optical low-pass filter to deliver the ultimate in image detail in both stills and movies. In a first for a D-SLR, the D810’s ultra-wide native ISO range starts at ISO 64 for cleaner, better-defined images when shooting in bright light, and you can shoot at up to ISO 12800, or extend the range from 32 to 51200 ISO equivalent. Equipped with the same EXPEED 4 image processing engine as used in the flagship D4S, the D810’s overall performance gets a significant boost: image rendering and ISO capability is vastly improved in both stills and video, with sophisticated new algorithms enabling remarkable clarity and enhanced gradation with a tangible sense of depth across the entire sensitivity range. Engineered to excel in any environment, the D810’s powerful high-speed capabilities deliver exceptional versatility, ensuring you can capture even the quickest, most unpredictable subjects in a big way. Faster continuous shooting speeds and the flagship Multi-CAM 3500FX 51-point AF system enable precise, uncompromised full-resolution images at up to 5 fps, plus the camera can shoot 15.3-MP images at up to 7 fps in DX crop mode. Nikon’s new Group Area AF mode offers fast acquisition and improved background isolation when shooting subjects that are comparatively small and close to a high-contrast or distracting background. A new shutter/mirror box mechanism reduces image shake for a steady viewfinder image with minimal blackout during high-speed shooting, and you can activate the new electronic front-curtain shutter to minimise internal vibrations and reduce the risk of micro-blur in subtle details. For faster image transfer and smoother post-production, Nikon’s RAW Size S file format delivers richly graded 12-bit uncompressed Nikon NEF files. Shooting movie footage on a camera as powerful as the Nikon D810 is an enriching and liberating experience. A powerful and flexible tool that will satisfy even the most demanding cinematographers, the D810 records Full HD (1080p) movies at 50p/60p frame rates with markedly reduced noise, moiré, and false colour. The camera offers FX and DX sensor crop formats as well as clean HDMI out, plus simultaneous capture of full-resolution footage in-camera and on an external recorder. You can set sensitivity from ISO 64 all the way up to ISO 51200 equivalent in M mode, and the auto ISO function lets you configure the maximum ISO settings you want to work with. Nikon’s 3D noise reduction reduces random noise, distortion, and flicker when filming at high sensitivities. Zebra mode shows you on the camera monitor exactly where highlights are blown. Superior audio control improves sound recording and offers greater overall flexibility: a stereo microphone input and an audio out let you fine-tune audio levels in isolation both before and during recording, you can select the sound range (wide/voice), and wind noise can be reduced when recording with the built-in microphone. No matter which kind of photography you focus on, the D810 will perfectly realise your creative vision. Whether shooting stills or video, Nikon’s newly introduced second-generation Picture Control System provides invaluable tools for before and after the shoot by offering total control over sharpening, contrast, brightness, hue, clarity, and saturation. For the ultimate freedom in post-production, the new Flat setting will retain all the details and preserve rich tonal information in both highlights and shadows; the new Clarity setting lets you precisely adjust contrast and differentiate fine structures. When shooting, the camera’s 8.0-cm (3.2-in. ), 1229k-dot colour-tune monitor lets you push the colour balance and brightness in any direction to suit your personal workflow preference. The new Live View split-screen zoom makes it possible to check levelling and sharpness with complete precision and is ideal for architectural or product shot photography. Additional creative capabilities include unlimited continuous shooting that lets you capture countless JPEGs and produce spectacular light-trail photography. Augmenting the D810’s spectacular imaging potential is the full power of Nikon’s total imaging system. The highest calibre optics are vital for such a high-megapixel camera and Nikon’s wide range of NIKKOR lenses will draw out the full potential of the D810’s 36.3-megapixel sensor with ease. With their exceptionally high resolving power, NIKKOR lenses meet the demands of photographers in every field. Also fully compatible with Nikon’s industry-leading Creative Lighting System, the D810 works with a range of versatile Nikon Speedlights for creative flash photography on- or off-camera. New 36.3-MP FX-format sensor: offers the ultimate in image detail and excellent cropping flexibility. Ultra-wide light sensitivity: ISO range of 64–12800, extendable from 32–51200 ISO equivalent. Up to 7 fps burst rate: uncompromised full-resolution images at up to 5 fps. 15.3-MP images at up to 7 fps in DX crop mode. EXPEED 4: boosts the camera’s overall performance to a whole new level. Flagship AF performance: Multi-CAM 3500FX 51-point AF system configurable in 9-point, 21-point, and 51-point coverage settings and sensitive down to -2 EV (ISO 100, 20 °C/68 °F). Multi-area D-Movie: Full HD (1080p) movies in FX- and DX-format at 50p/60p. Access the full light sensitivity range, from ISO 64, while filming, and control shutter speed, aperture, and audio levels, too. RAW Size S: delivers richly graded 12-bit uncompressed Nikon NEF files that enable faster image transfer and smoother post-production. Picture Control 2.0: ease post-production with Flat setting for maximum dynamic range; fine-adjust detail with Clarity. Ultra-sharp: new shutter/mirror box architecture and electronic front-curtain features ensure the sharpest possible results. Live View split-screen zoom: check levelling and sharpness with complete precision. Accessed via the camera’s ‘i’ button. Fast durable shutter: Kevlar/carbon fibre-composite shutter unit with 52 ms shutter lag, standard life cycle rating of 200,000 releases, and a shutter speed of 1/8000 to 30 s, with flash synchronization at up to 1/250 s.
Unlimited continuous shooting: capture countless JPEGs and produce spectacular light-trail photography. High-capacity EL-15a battery: ultra-compact and lightweight lithium-ion rechargeable battery with a capacity of 1900 mAh (7.0V). Capture up to 1,200 still images1 on a single charge. Wired and wireless connection: supports Ethernet and wireless LAN. To connect, use the optional UT-1 Data Transmitter together with the WT-5 Wireless Transmitter. 1. Based on the CIPA standards.